Karen and I live in N GA, but would love to have a base of operations nearer to Knoxville. That's fronting on the Tennessee River in a rapidly growing part of TN. Permit was already obtained for a dock, though that expired. We visited it yesterday. What we envision is a strip at least long enough for our Sky Arrow, and a hangar large enough to house at least the Sky Arrow and to back our travel trailer into as an "apartment". The realtor estimated about $30k to bring in utilities. It would be a stretch for us to do by ourselves, but with one or two partners we could make it happen. 1) I know its a long shot, but might anyone be interested in partnering? 2) Does anyone know of similar property/land available in that area? Thanks in advance - fasteddieb@mac.com if you're interested. Not nearly the size but might already provide many amenities you'd need to build. Looks like the have lots for $75-$90K and lots with hangars for ~$200K. Thanks for that for comparison purposes, but Nashville is quite a haul from Knoxville. Eddie -- Hensley Airpark is ~80 miles east of Knoxville on the edge of the mountains. 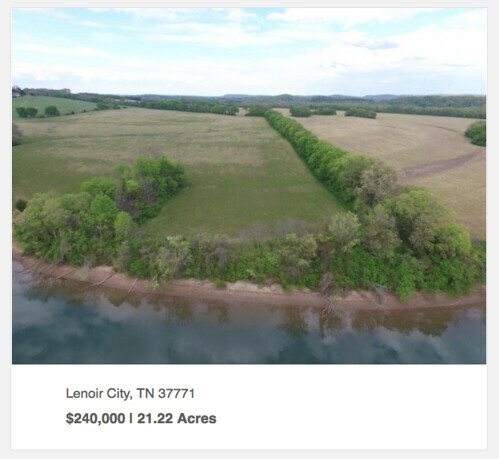 Seymore Airpark is 17 miles south of Knoxville and could be an option as well. A bit pricier due to proximity, probably.